Penultimate day of the tournament and reached the semifinals. The English player  He reached a semi-final ranking for the first time in his career after an impressive comeback in its quarterfinal match against his compatriot Martin Gould. 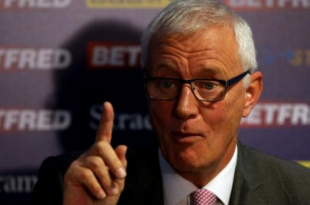 In its race to semifinals he overcame Andrew Higginson (6-1), Robert Milkins (6-2), Jack Lisowski (6-4), Peter Ebdon (6-2) y Martin Gould (6-5), all players with better ranking than yours. Liang Wenbo , who has more experience in such tournaments (He reached the quarterfinals in this tournament 2.009), He got his pass to semifinals after beating Marco Fu in the decider (in a match in which he came to be 5-2 above). The Chinese player also performed spectacular comebacks to qualify to play the final and win the title. On his way to Gareth Allen he eliminated (6-1), Jimmy Robertson (6-2), Judd Trump (6-4 -behind), Tom Ford (6-5, also with comeback) and Marco Fu (6-5). Definitely, It would be a very exciting match, where both players would do its part to reach the final and be eligible to win the title and 150.000 pounds of award. The semifinal was beginning with many doubts on both sides, so that errors are frequently happening. Much pressure is felt on both players, they are not used to dating caliber semi-finals of a major tournament. This first frame, as they say in the UK, se convertía en un frame muy “scrappy”. A pesar de ello el público les agradecía el esfuerzo por hacerlo bien y, gently, They began to release the arm and it was diminishing tension. A tension that the first Chinese player removed, to be more successful than English in the final moments, putting 1-0 on the scoreboard. El segundo frame subía un peldaño el nivel, pero aun así no lograban los dos jugadores breaks ganadores y un Grace más acertado y con algo más de fortuna que Wenbo lograba colocar el empate a 1 on the scoreboard. Los dos siguientes frames seguían en una línea ascendente de juego, but they did not get to shine your big breaks despite the efforts of the two players. El de Leeds notaba más la presión que el jugador chino pero, Nonetheless, supo resolver muy bien ambos frames con algún break decente y irse al descanso con una cómoda ventaja para afrontar la segunda parte del partido, que de buen seguro iba a ser muy emocionante debido a la importancia del torneo. David Grace put to rest the 3-1 on the scoreboard. After the break the Chinese player uncapped the jar of essences, and thus the accumulated pressure is removed in previous frames. It was a hundred (110), table with cleaning included, to put a 3 a 2 on the scoreboard. Grace did not want to show signs of weakness and came prepared to answer another big break with the Chinese player; but he stayed with 48 points and gave way to Wenbo, que cometía un grave error que el inglés supo aprovechar y firmar el 4 a 2 y colocarse a tan sólo dos frames de la ansiada final. An end to the Chinese player was going to sell very expensive, because it came in the seventh frame ready to take a comfortable lead. Despite the bad situation getting catch balls 39 points up; He should tread lightly with his defenses, since it was very close frame. 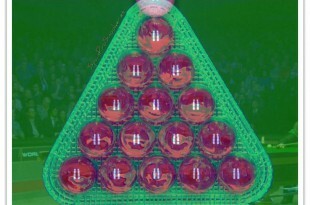 David Grace, who saw the final two frames, sentía cómo la presión era cada vez mayor y cometía un error grave que daba paso al jugador chino a cerrar el frame y meter todavía más presión a su rival (which ranks 81 del ranking), The scoreboard 4-3. 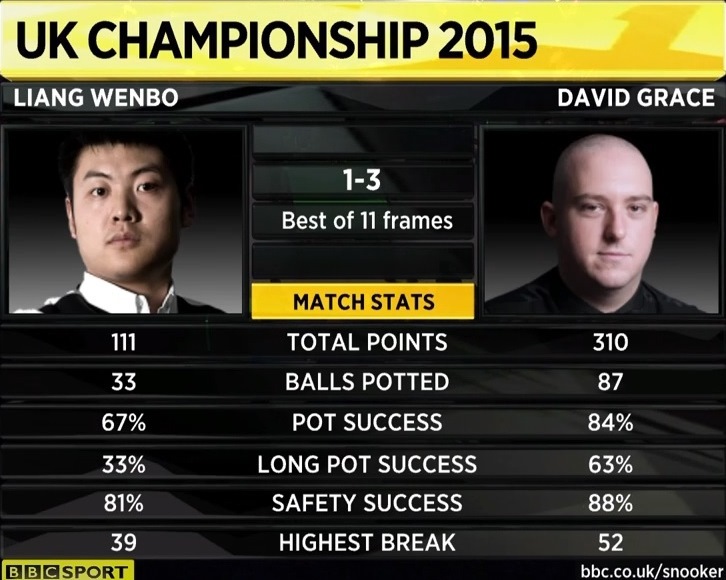 Wenbo in the eighth frame grabbed the initiative and began putting 19 points up. 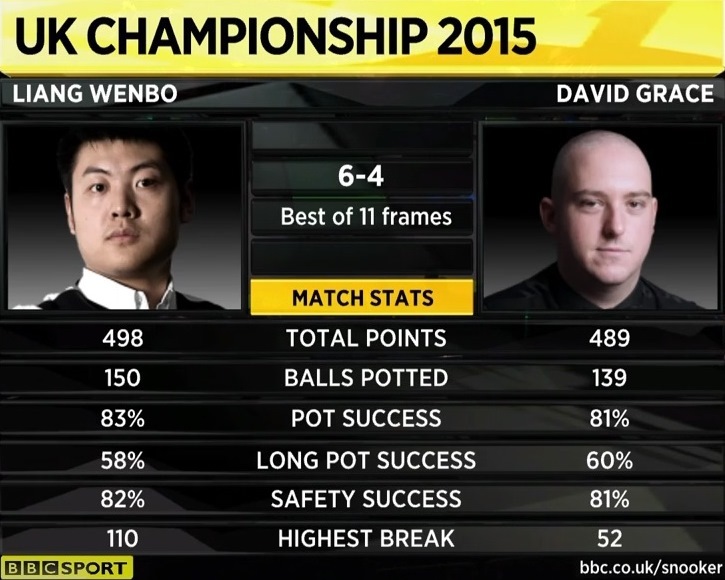 David Grace missed an opportunity to fight on several frame and Wenbo was scoring points and was getting closer to the frame. Grace, standing 40 Down and points 35 minutes embocaba no ball, anotaba un punto y volvía a cometer un error que permitía a Wenbo entrar de nuevo en juego y con un break de 27 points to put the tie 4 on the scoreboard. The story was repeated in the ninth frame: Wenbo (number 29 The world and could reach the top 16 if he won this match) He began to dominate. After getting a break from 50 points made a mistake that allowed the English (which ranks 81 ranking) enter the table. But, once again, Grace had just missed an opportunities and wasting frame. 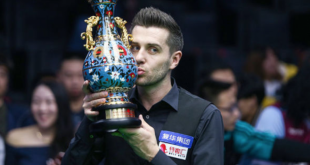 The Chinese player placed the 5-4 on the scoreboard after winning three consecutive frames (He had already traced matches in previous rounds, as he did against Judd Trump and Tom Ford) and he got just 1 awaited final. 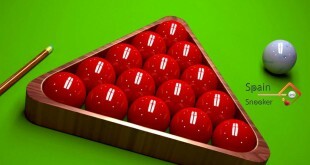 Wenbo out in maximum numbers break, pero ese máximo se desvanecía muy pronto por la mala apertura del pack. Wenbo, jugador de ataque, He managed to remain calm and sought a good defense to give him the option of playing the final attack. The attack came, but with the same script: another error in the positional play forced the Chinese player withdrawing troops and bide his time… Moment came on several occasions, pero debido a la ansiedad Wenbo (that came to be small bumps on the face) no lograba cerrar el frame. And when you forgive much what happens happens… Grace entraba en juego y ponía el frame al rojo vivo. 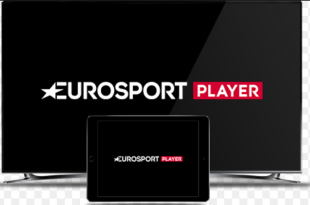 Y cuando todo hacía pensar que el inglés lograría forzar el decider llegó un error con bola rosa, probably never forget, tray laying on the frame and match to Liang Wenbo, who was jumping for joy after the black hole to celebrate his victory and his pass to the final. With this victory Wenbo, which ranks 29 del ranking, rises to the top 16. La sesión de noche nos deparaba otra semifinal intensa: Neil Robertson v Mark Selby (what in 2.013 they met in the final tournament, Robertson being the winner). The Australian player, looking to win his first ranking title this season. Con un gran snooker llegaba a semifinales después de vencer a Alex Taubman (6-3), Aditya Mehta (6-2), Thepchaiya Un-Nooh (6-2, getting into this game the highest frame so far ista year's tournament: a 145), Stephen Maguire (6-1) y John Higgins (6-5). 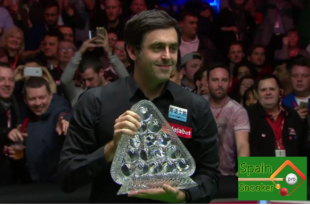 The world number one, tournament winner 2.012, also looking for his first ranking title this season after reaching the semifinals of the International Championship. En su camino hasta semifinales derrotaba a Joe O’Connor (6-0), Oliver Lines (6-0), Jamie Jones (6-5), Dechawat Poomjaeng (6-1) and Matthew Selt (6-1). The second semifinal was presented as a true early end, con el número 1 del mundo y el número 3 en un estado de forma, the latter, exceptional (cosa que no iba a achicar al inglés). 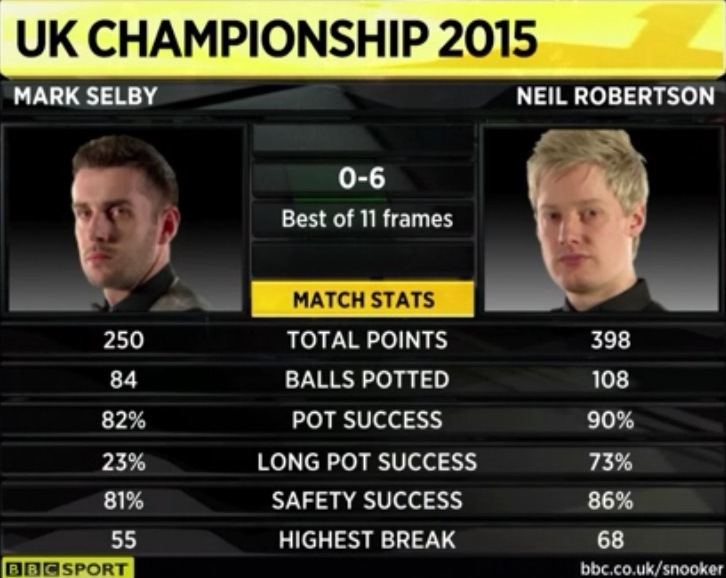 Mark Selby comenzaba dominando la primera mesa y todo indicaba que el primer frame iría por la vía rápida, pero el jugador de Leicester cometía un error con 52 puntos en su marcador y daba paso a Robertson. 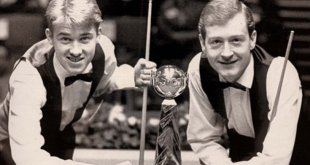 The Australian, con mucha calma y sin hacer lo que mejor se le da (make hundreds and breaks winners), resolvía el frame en un par de entradas, the last one after a blunder by Selby (the frame that left him on a silver platter). The second frame was a carbon copy of the first, with a “light” change. Robertson and could breaks winners and responded to 55 Selby starting with tremendous 68, who cleaned the table and got a lot of pressure on your opponent; a team that was not playing all that bad, but he could not and that meant winning breaks to enter fight with the Australian, I was in a state of grace and that is not good dinner companion that takes you to the minimum. En el tercer frame Selby se veía obligado a salir con mucho cuidado para no dar demasiadas opciones en bola larga a su oponente, que ya estaba enchufado. English, como venía siendo habitual, golpeaba primero pero, To avoid exceeding the script, volvía a la senda del error y un Neil muy tranquilo y confiado volvía a responder con break (26) and defense to take the final attack and make another break of 53 points and place a strong 3 a 0 on the scoreboard. The frame before the break began with Australian player dominating the table, but with 21 black ball-point failed and favored the entry of Selby. The Leicester managed to score only 20 and again points, once again, to make a mistake that just becoming an Australian entry 39 points. Failure after another English player Robertson closed the frame and put a categorical 4-0 on the scoreboard to go into the break with a wide and comfortable lead. After the break the number 1 World achieved a break of 49, but could not close the frame and Robertson entered the scoring table 32 points and make a good defense. With 43 points on the table began a battle with a very sure of himself Neil (as it occurred throughout the tournament). And again lift a frame (with input 25 points) than, practically, he got into the final of the UK 2.015. 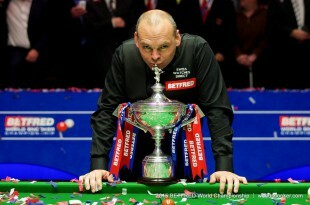 The Australian player stood just one frame of the final (5-0). The last frame was a true reflection of what had been the party. Robertson was ahead on the scoreboard, with input 14 English points and clearing you had to go and do the dirty work. A pesar de que el de Leicester llegó a tener una ventaja de 17 Robertson points (44-27) He could not close the frame. He was uncomfortable and could not continue in his game; while rival, He is waiting for his chance, knowing his good form. And that opportunity came after a series of errors English, que permitían al jugador australiano entrar en mesa y aprovechar la ocasión para volver a remontar un marcador en contra y ganar el partido. Neil Robertson sealed his ticket to the final with a score of 6-0. 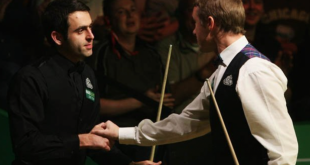 Tomorrow will face Liang Wenbo in a final that, undoubtedly, It will be very exciting.